The Museo Thyssen-Bornemisza is presenting Bulgari and Rome, an exhibition that looks at how the art and architecture of ancient and modern Rome have been a source of inspiration to the designers of this firm of Italian jewellers throughout its history. 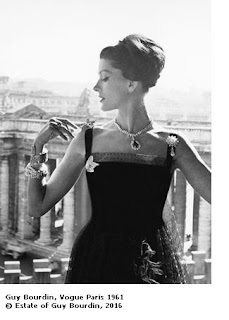 Founded in Rome in 1884, since its outset Bulgari has made use of the city's most characteristic features as the guiding symbolic and artistic thread of its creations. For decades the Colosseum, the Piazza San Pietro, the Spanish Steps, the fountains in the Piazza Navona and the Pantheon have given form to necklaces, bracelets, earrings and brooches made in gold or platinum and precious stones of every colour. With the aim of demonstrating this close connection, the exhibition brings together more than 140 pieces of jewellery from Bulgari's Heritage Collection and from a number of private collections. They are displayed alongside around 30 paintings, drawings, sculptures and photographs by different European artists who have depicted the city of Rome in their works, including Canaletto, Gaspar van Wittel, Ippolito Caffi and Arthur John Strutt. Presented with a carefully designed installation that includes interactive elements, Bulgari and Rome also allows visitors to take a journey through more than 130 years of the firm's history, from the accessories and adornments made by hand in silver in the late 19th century by its founder Sotirio Bulgari and the platinum and diamond jewels from the 1920s and 1930s, to very recent creations including spectacular jewels from the firm's iconic collections such as Serpenti, Monete, Parentesi and Bulgari Bulgari.